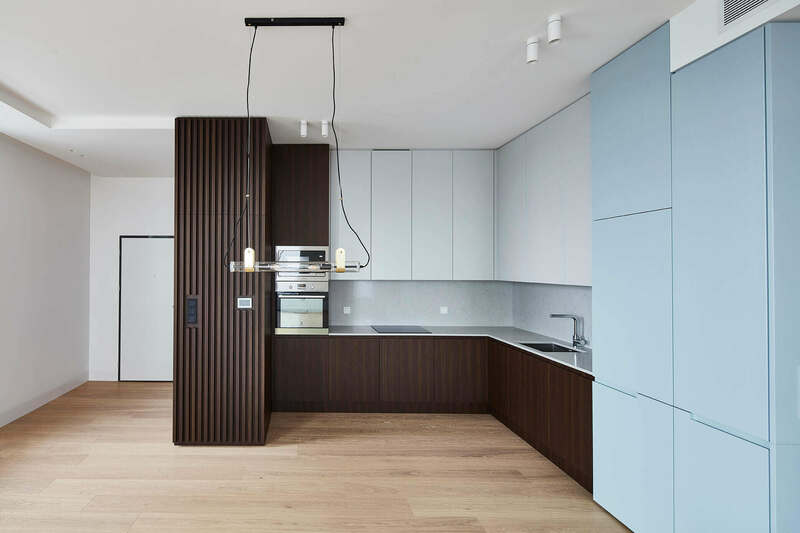 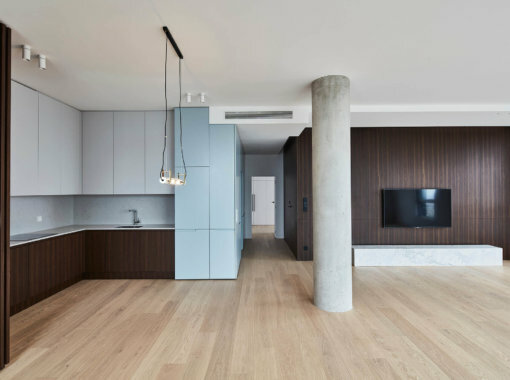 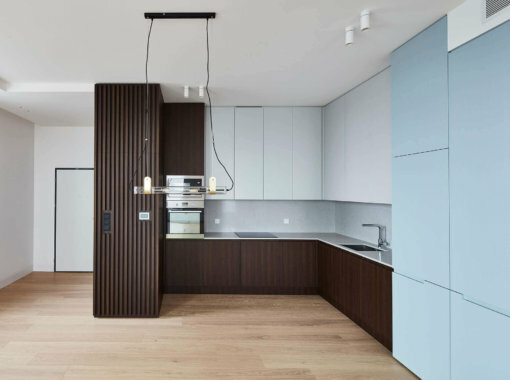 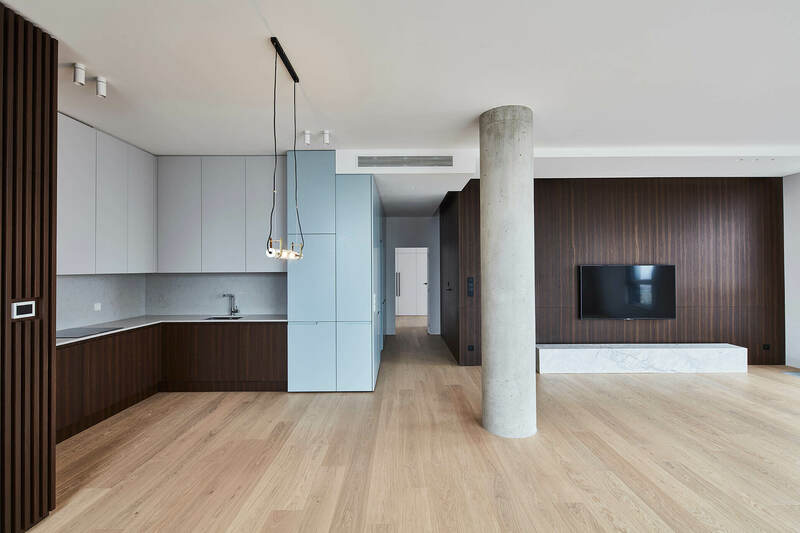 Inspired by the colors of Iceland, this minimalist penthouse is located inside Warsaw’s Aura Sky apartment building. 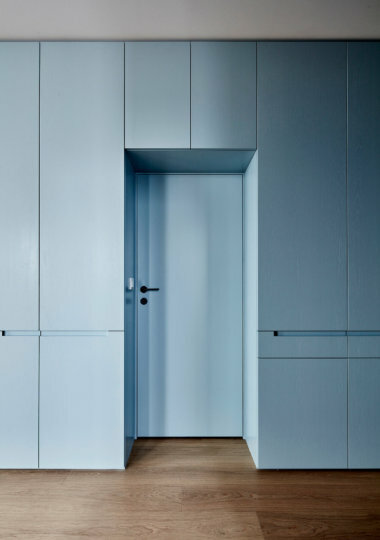 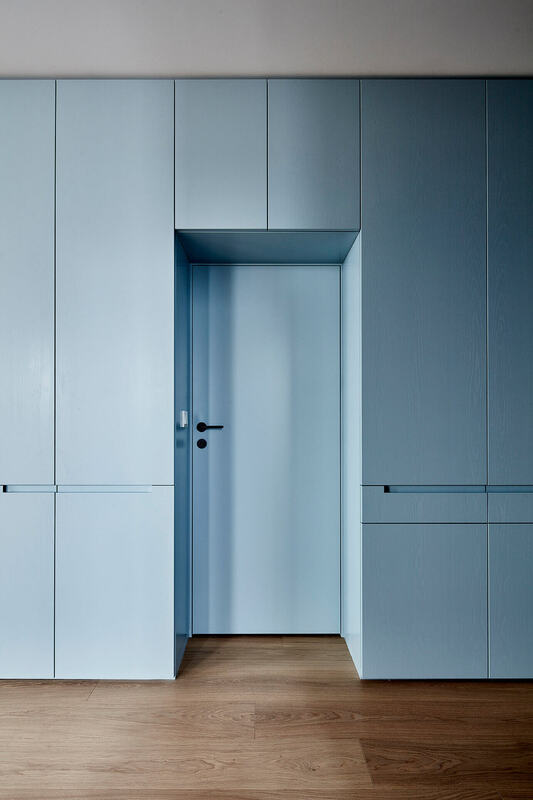 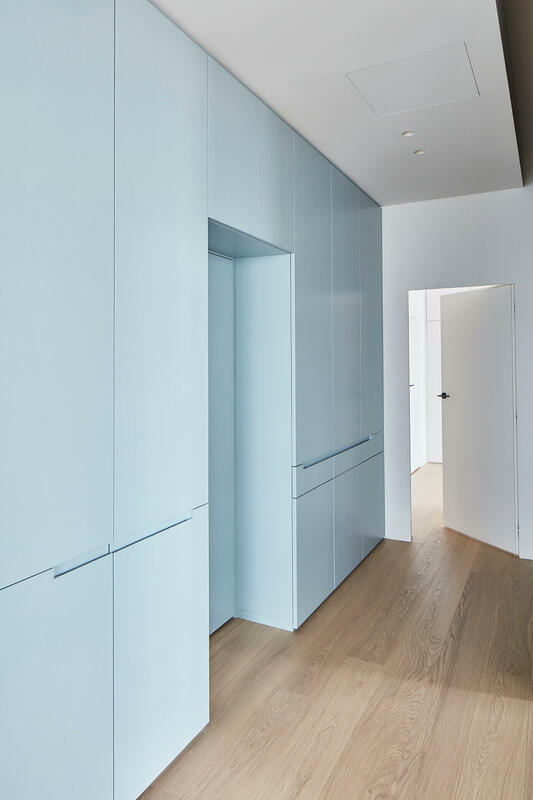 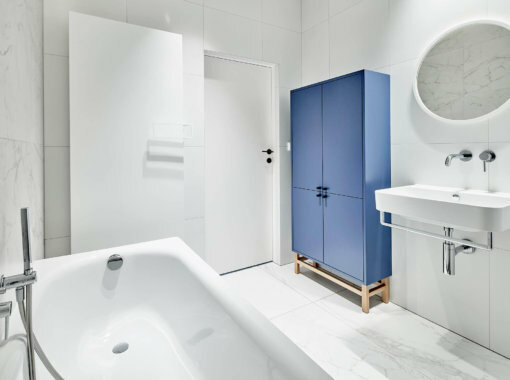 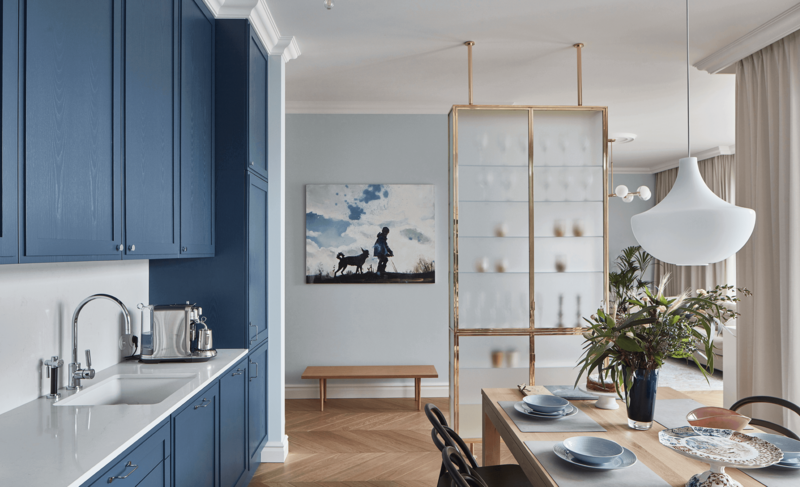 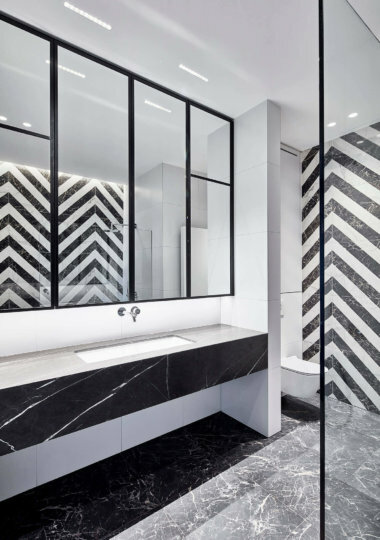 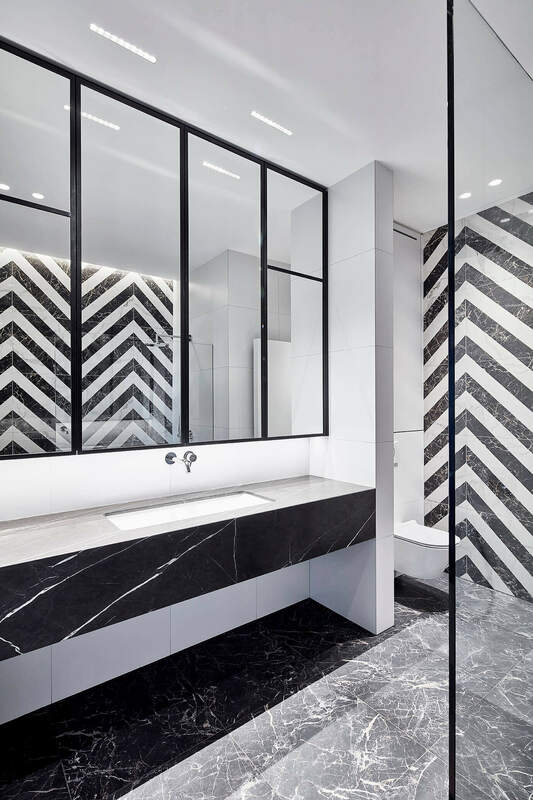 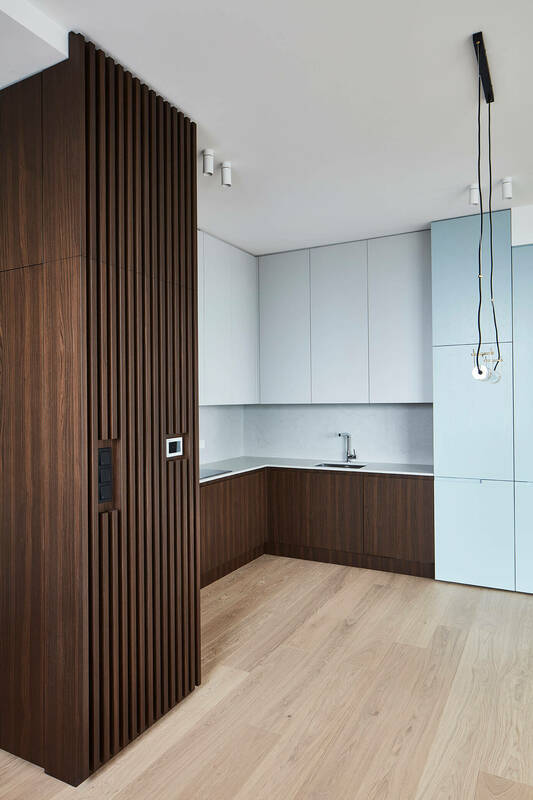 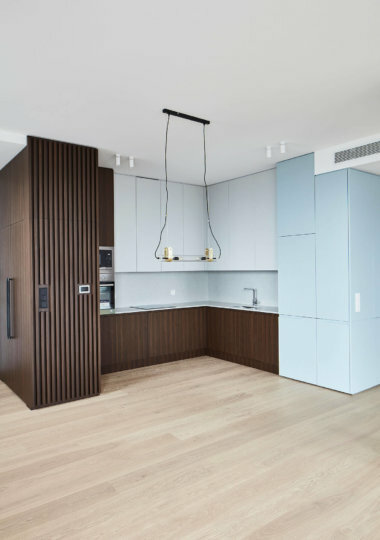 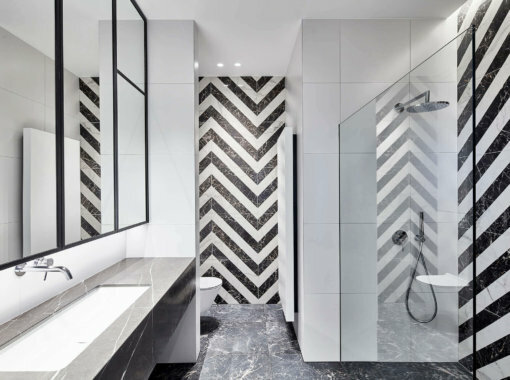 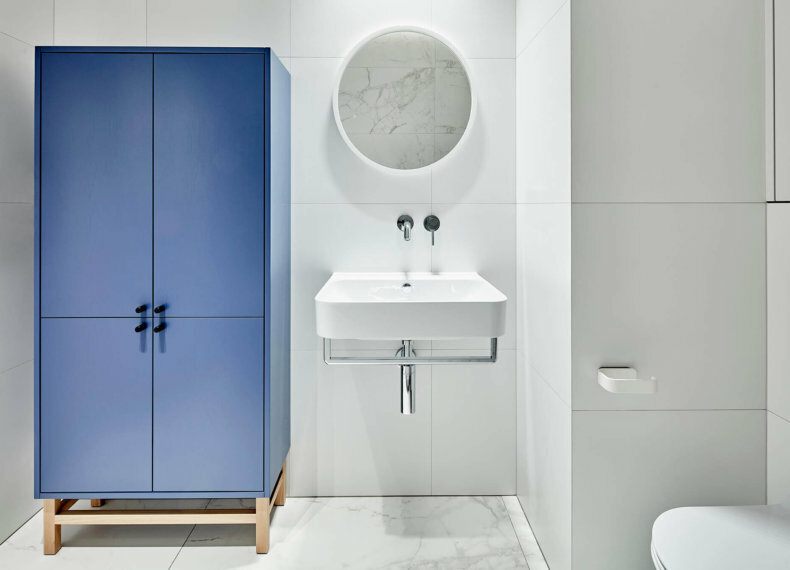 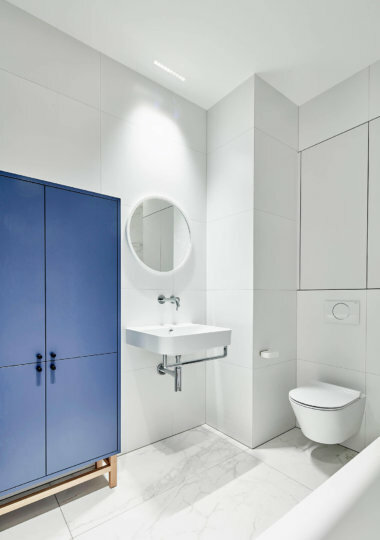 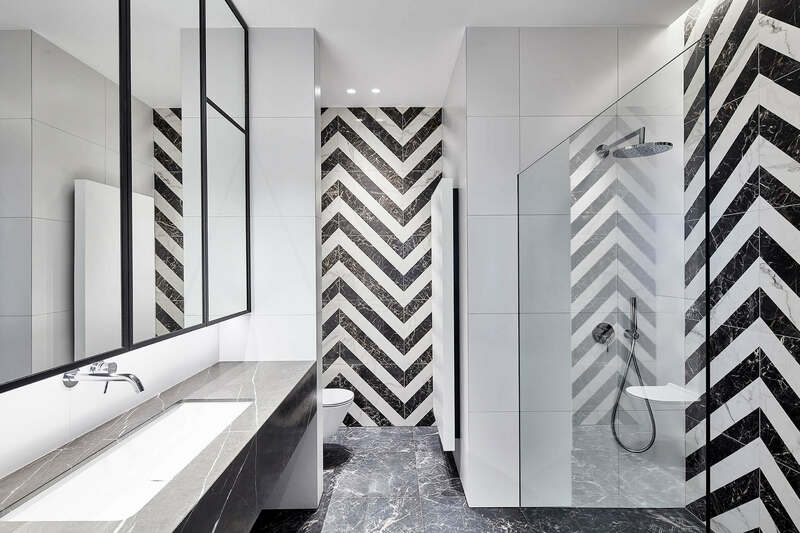 Sleek surfaces in various shades of snow white and ice blue have been juxtaposed with dark wood which allowed to create a clear yet graphic interior. 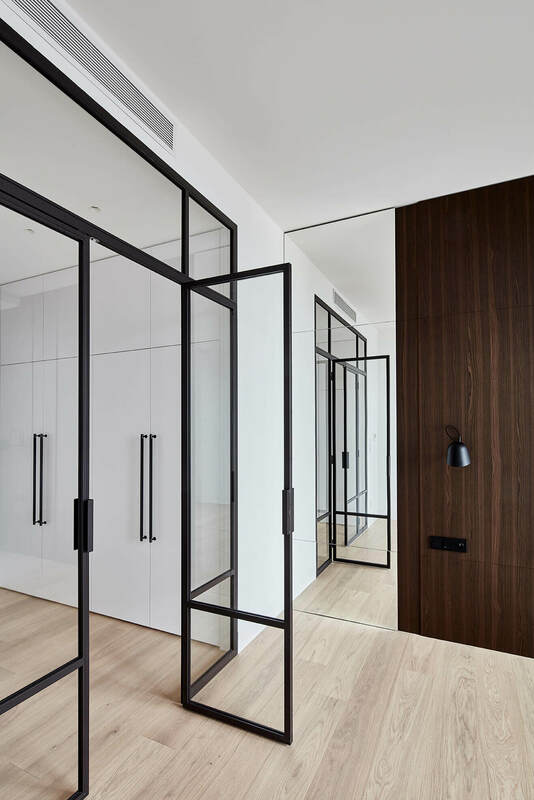 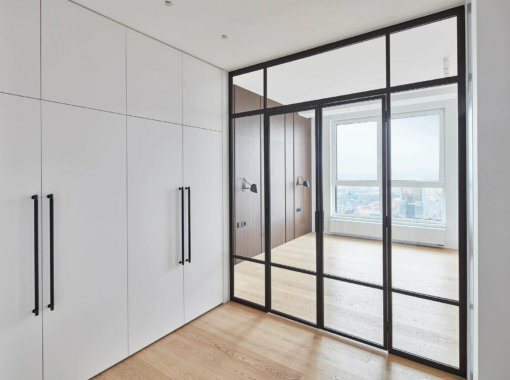 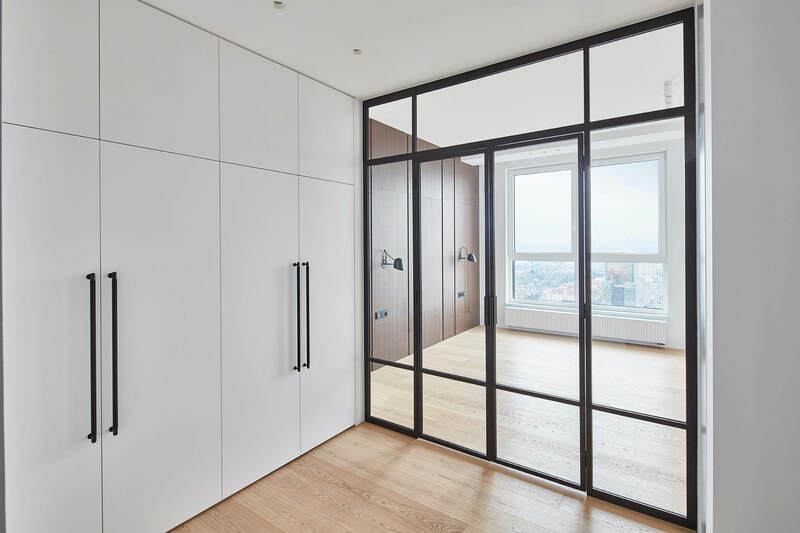 Black metal-framed glass door decoratively separate the bedroom from the walk-in closet. 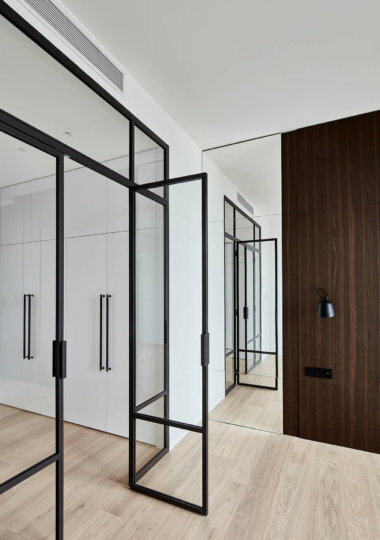 The glass allows natural right to penetrate throughout the spaces. 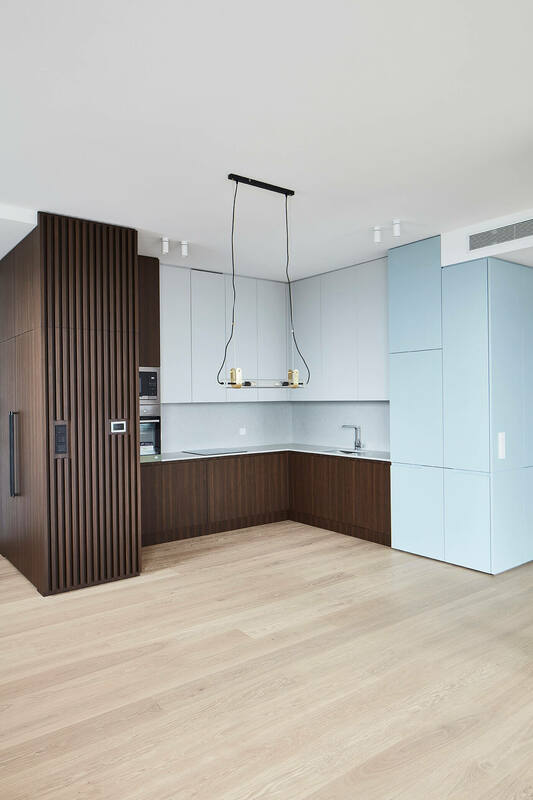 The kitchen opens for the living room which makes the interior perfect for family living and inspires various forms of entertainment. 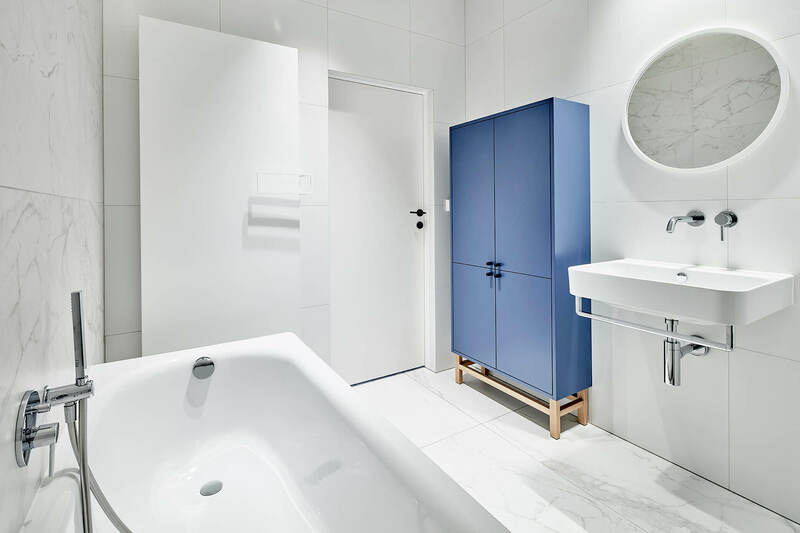 Two bathrooms and a separate laundry room make the apartment a complete and practical space for living.